Advances in Artificial Intelligence technology have opened up new markets and new opportunities for progress in critical areas such as healthcare, education, energy and the environment. Within Capgemini, we view AI as having five senses: Watch, Act, Remember, Think and Listen/Talk. The Watch (or Monitor) sense is a vital component of every business, which we also refer to as proactive monitoring. In banking, monitoring refers to the monitoring of the market data, customer profile, security of systems, ATM transactions, branch office activities, online banking, and huge transfers, etc. The goal of proactive monitoring is to vigilantly watch for any anomalies and potential threat or fraud to act quickly and save your organization. In the healthcare industry, monitoring refers to the tracking and analysis of an individual’s medical records, physical activities, food habits, quality and quantity of water intake, and many more variables. IOT has come out with innovative wearable devices that can capture signals and data from the activities of individuals, load this data into the cloud, and process it to support proactive healthcare monitoring. For example, when you sit at the dinner table and start eating, wouldn’t it be great to have a system that can automatically sense the content of food on your plate, recognize elements such as vitamins, fats, fibers, potassium, calcium, iron, etc., and then compare these with your intake over the past 30, 60, or 90 days? What if this system could integrate this data with your medical record and prescriptions, and provide you a summary chart together with warnings and comments in an easy-to-read dashboard? Also, what if the system could measure and analyze your speed of eating and advise you on the benefits of eating at a slower pace? At a recent industry event in Las Vegas, I saw this exact system right before my eyes during a demonstration of a “smartplate” by Indiegogo. It’s a plate made up of three compartments with a sensor at the bottom that’s connected to the cloud. 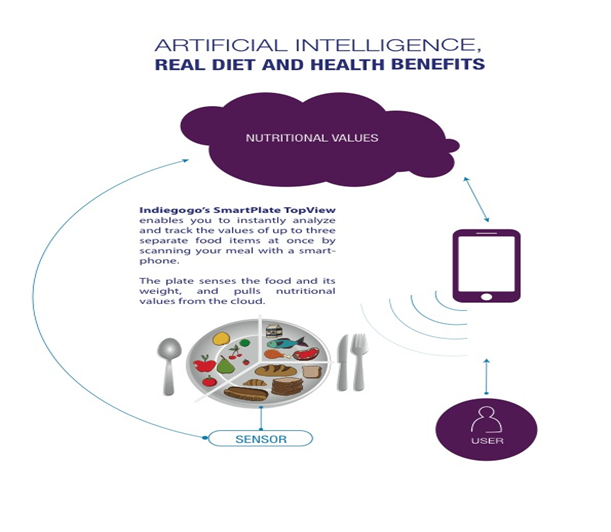 After downloading Indiegogo’s mobile application on your smartphone and placing your food onto the plate, a sensor analyzes your meal and its weight, and relays this to the cloud. Using the mobile app, a photo of the food is taken and sent to the cloud as well. Backend intelligence in the cloud is capable of recognizing more than 1,000 international food items, along with calculating quality and calories. As per your pre-defined profile, health record and physical activity history, you get real-time information and advice on your dietary habits. They also demonstrated an intelligent water bottle that can sense critical content in the water and assess its quality. This is also connected to the cloud and your mobile app, so it’s simultaneously tracking your water intake. 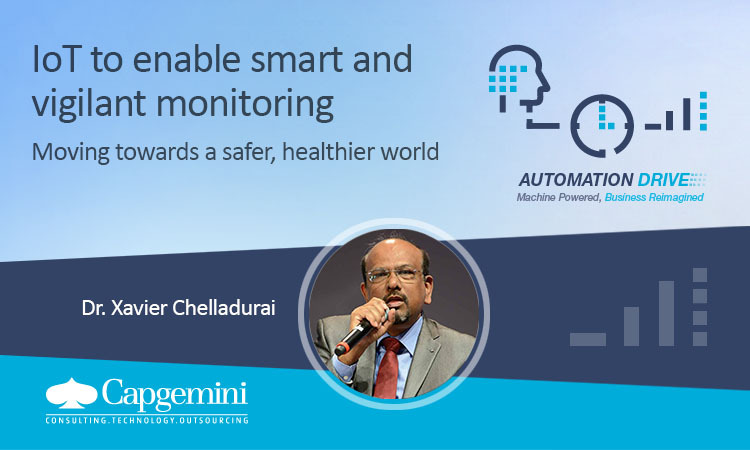 So it’s clear that IoT supports Artificial Intelligence in making human life increasingly safer and healthier. We have started leveraging Artificial Intelligence to improve the quality of human life and make us safer, healthier and happier.